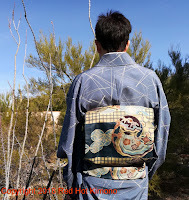 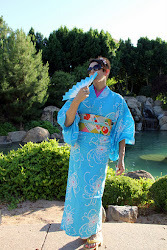 Happy New Year kimono enthusiasts! 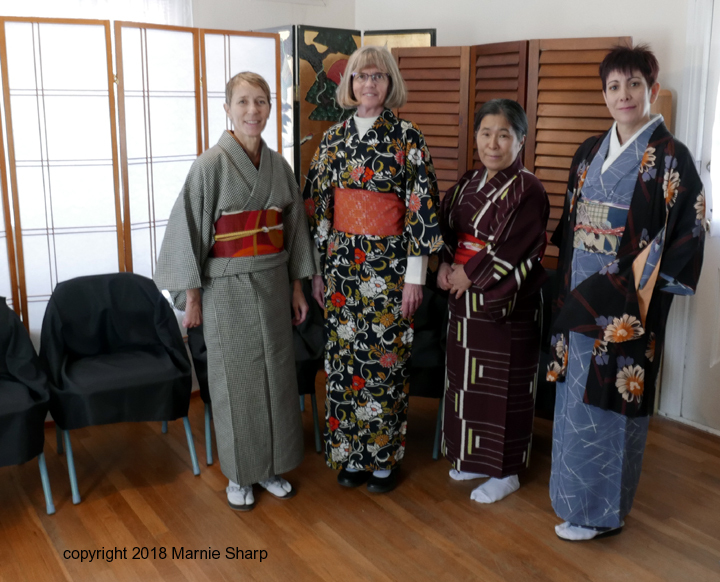 I had the pleasure of attending the local Johrei Fellowship's New Year's Day service and tea ceremony. 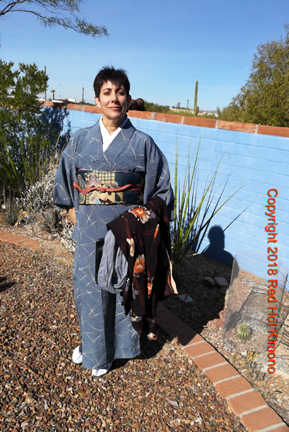 I did a yukata/kimono workshop for the tea ceremony students a short while ago and they were excited to dress themselves for the New Year's Day events. 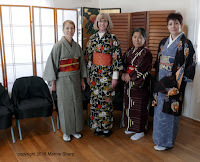 The tea ceremony I attended was a very casual one, using the portable brazier. 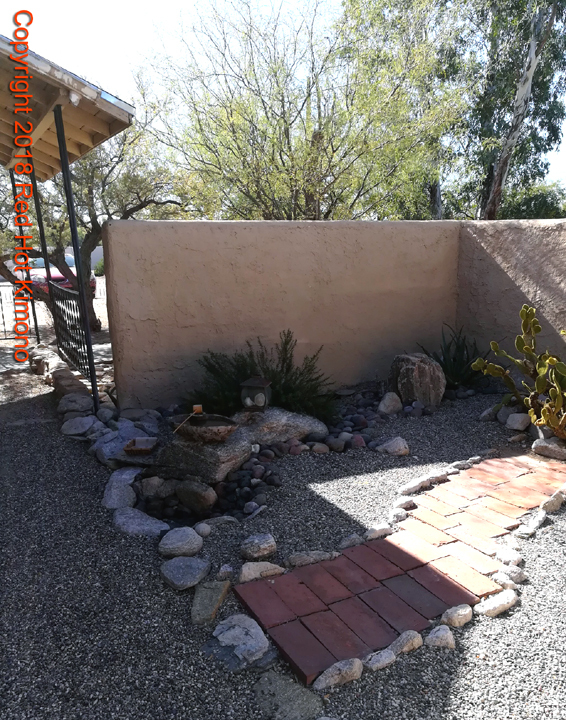 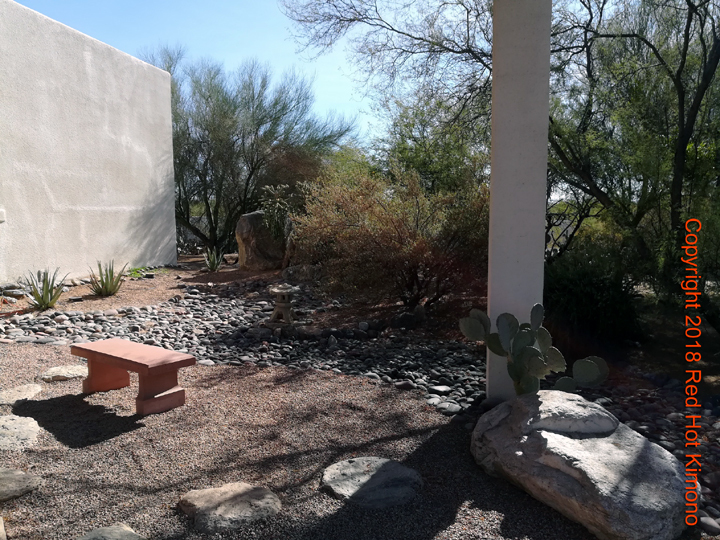 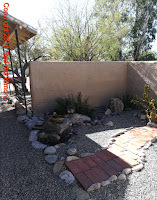 The morning winter sun created very stark shadows, so the garden photos are a bit darker than I expected. 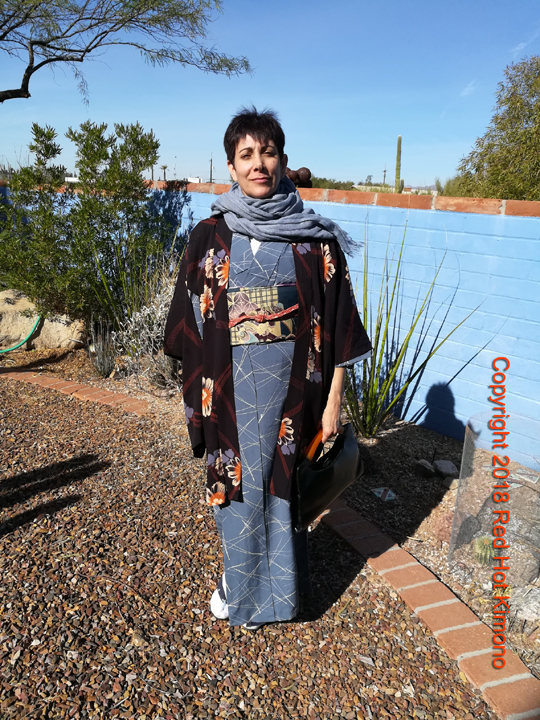 Of course I wore kimono and was careful to pick an auspicious motif for my kimono (pine needles) and an obi with soft colors for the tea ceremony. 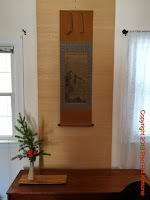 There are older Japanese people that attend the center, so I made sure my kitsuke was very neat. 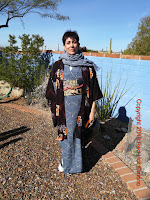 It was a little chilly in the morning, so I wore a coordinating vintage haori and modern linen scarf. 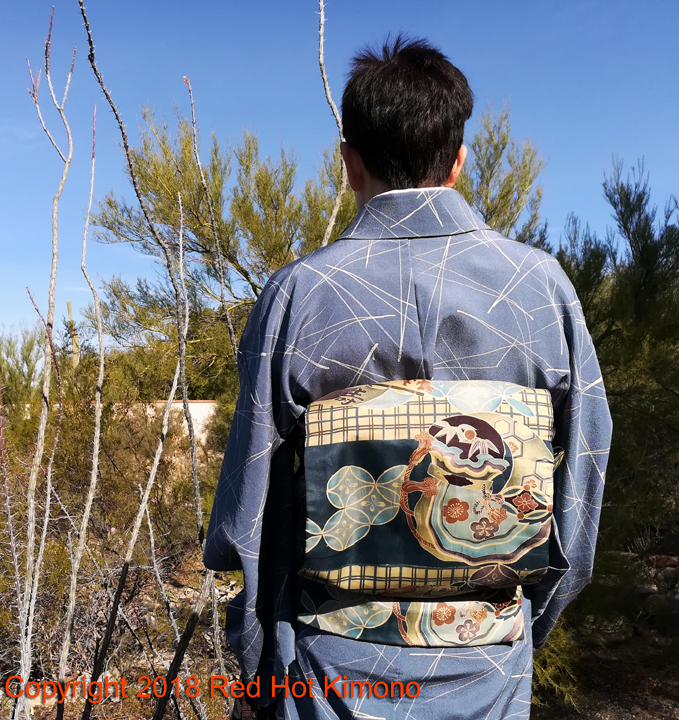 My handbag is also vintage. It was a wonderful way to start 2018!